You are here: Home > MCSD News & Alerts > MCSD News & Alerts > District News > Come Out and Support MHS Choirs! Please support MHS Choirs by shopping at your local Muscatine Hy-Vee Food store on Second Avenue. 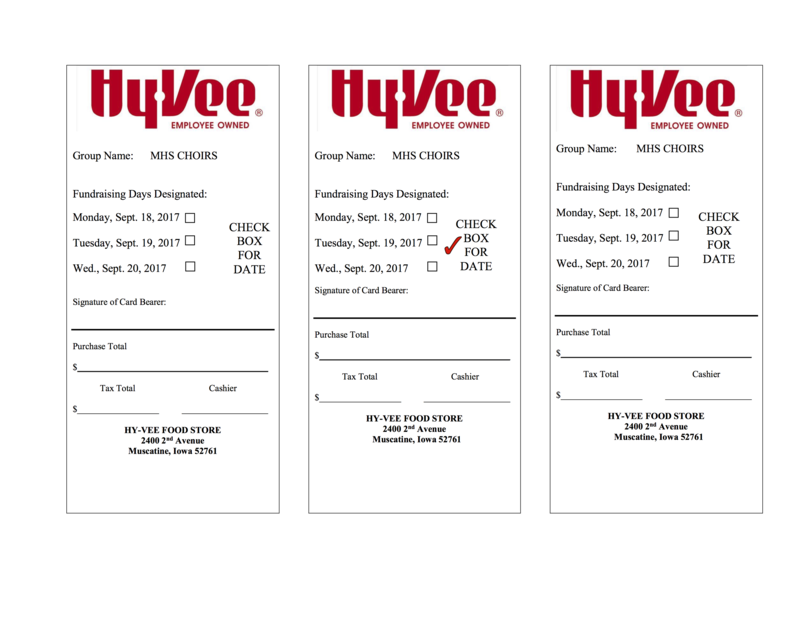 For every purchase you make Monday, Sept 18 through Wednesday, Sept 20 that is accompanied by the attached slip, Hy-Vee will donate 7% of your total sale to the MHS Vocal Choirs! Present this slip at any cash register when you complete your shopping. Please support MHS Vocal Choirs by shopping at the Muscatine Hy-Vee these three days!